But the Kenji s are readable to the Chinese, so I may get familiar about this kinda group of people.. Not that good, I guess..
Then I'm just being dumb, sorry. Yet I don't think many people will know, because our readers aren't actually people living in Japan Korea or China (or people who learn Wikipedia by heart, like you:P <-- which is no offence). Wow Kennenth, you just got back and already wrote a new post ! It's a supersad article though! 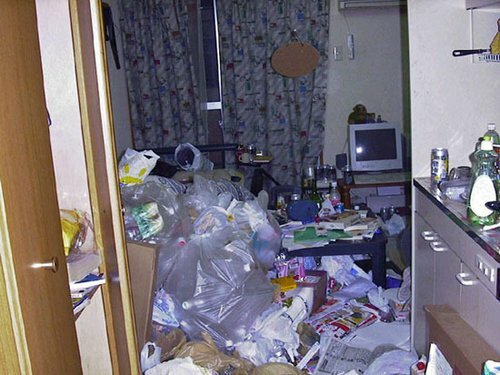 Hikikomori... is it like autism, or social anxiety disorder? In every society there always are people being excluded... it's so wistful >.< ! I really hope these people will be helped soon and can begin a better life. OK as for suggestions, maybe you could tell a bit more about what Hikikomori are (: . Because when I read the article, I had never heard of Hikikomori before and I also didn't know what Otaku is until I google'd it - although of course that's probably due to the fact I live in the Netherlands:P. Still I don't expect all readers will immediately know what you mean, so that's why I think it might be a good idea to elaborate on 'Hikikomori' and 'Otaku' ^^ . That way your article won't only be about the news that 80% suffer from mental illness, but also about the phenomon Hikikomori itself, you think that's a good idea:P? Or would that then be too complicated? You decide . Then I have another suggestion, but maybe it's stupid because I don't know much about Hikikomori, so I'm sorry if it is dumb haha ^^ . But Kennenth, is Hikikomori something that exists in Japan only? Because I would say also in China and Korea, there are such people living a lonely life, probably sadly enough every society has this kind of people being dissociated : (. Surely for this there are differences between Japan, Korea and China, and even bigger differences between Asia (asia as defined by us dwellingdumplings:P) and Western countries, right? Or is that a really silly thought:P? Because if those differences really exist, I thought it might be interesting to write about that too, I mean it's quite an important issue in society, right? .... or is that wrong:P? The Japanese Government recently released a study: 80% of the Hikkomori (staying at home, isolated by wiki) have mental illness, of which 2/3 may be suffering from schizophrenia or serious symptoms of mental retardation. Hikikomori (ひきこもり or 引き籠もり, literally "pulling away, being confined", i.e., "acute social withdrawal") is a Japanese term to refer to the phenomenon of reclusive people who have chosen to withdraw from social life, often seeking extreme degrees of isolation and confinement because of various personal and social factors in their lives. This study was conducted by the Japanese health authorities, labor and welfare departments and the psychiatrists. The survey was aimed at the 16-25 years old Hikkomoris. The researchers speculated that there should be 26 million Hikkomori in Japan. And they strongly advised these people to receive psychological medical treatment outside their houses, away from the hikikomori lifestyle, and cherish the life around. 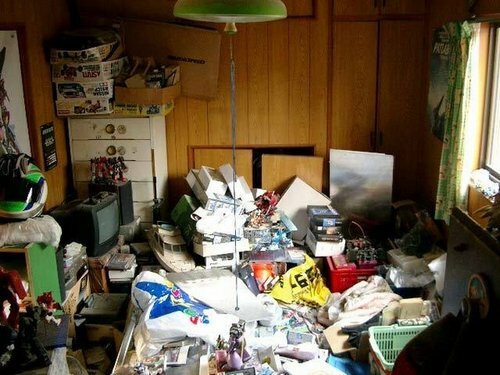 By the way, here are some real Hikkomori photos, a little bit different from the Otaku..